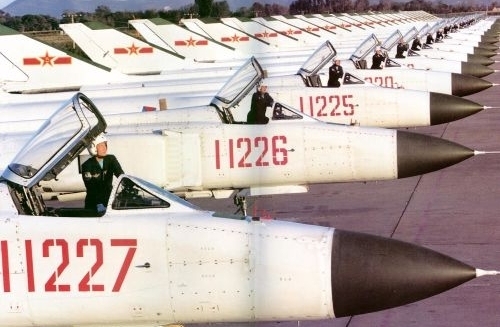 of the 1st Fighter Division. 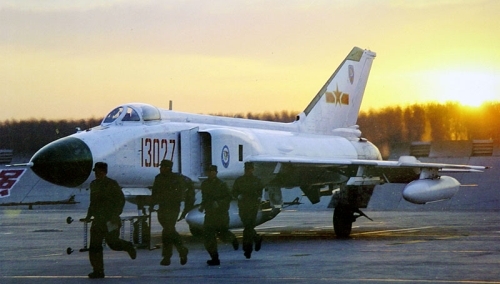 The first Air Regiment of the 1st Fighter Division uses the Shenyang J-8B Finback-B all-weather interceptor in nineties. 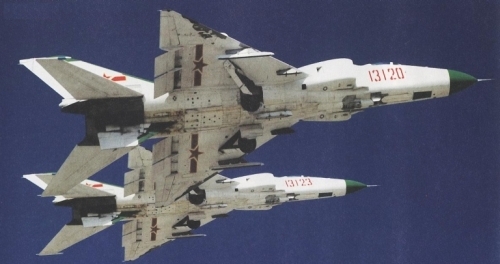 In 2002 the 1st Air Regiment changed Shenyang J-8B Finback-B for Shenyang J-11 (Su-27SK) Flanker-B. 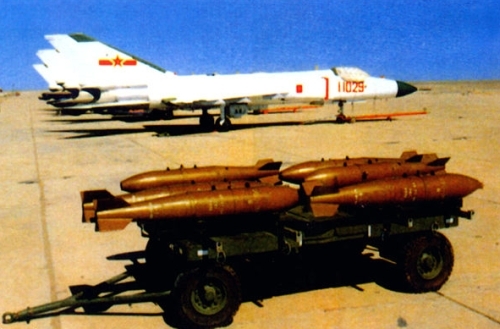 The J-8Bs went to third Air Regiments. 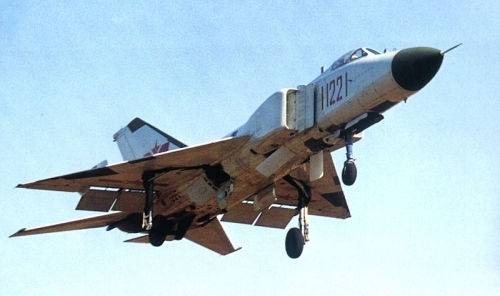 The Shenyang J-8B Finback-B all-weather interceptor aircraft was operated the 1st Fighter Division's first Air Regiments at Anshan. 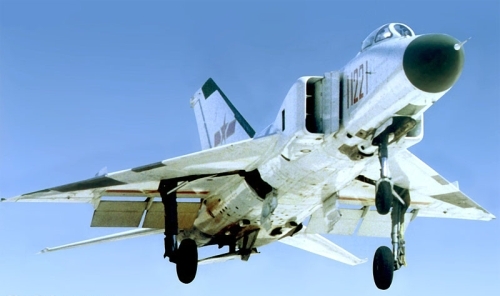 The 1st Fighter Division’s first Air Regiment often settled in other airports. 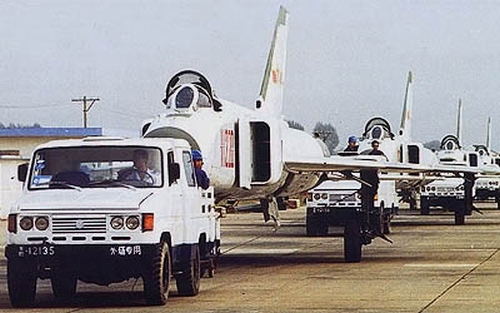 The 50th anniversary of the People's Republic of China was celebrated on October 1st 1999. 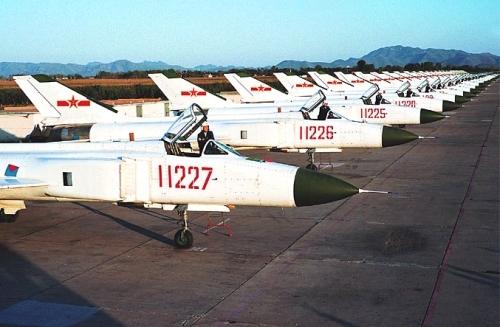 At Yangcun AB the 24th Division (with J-8A) was the host for J-8B's from Anshan (1st Division) and 9th Division J-8D's. 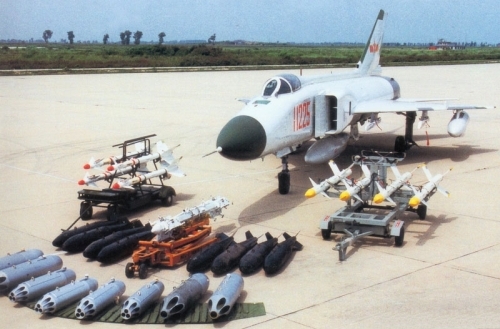 Shenyang J-8B Finback-B, a 1st Fighter Division / 1st Air Regiment aircraft, is seen here with assorted external stores, including PL-5 left and PL-8 AAMs rights, unguided rocket Type 57-1 and Type 90-1 FFAR pods, and 250-kg low-drag free-fall bombs, plus a GDJ-4 multiple ejector rack. 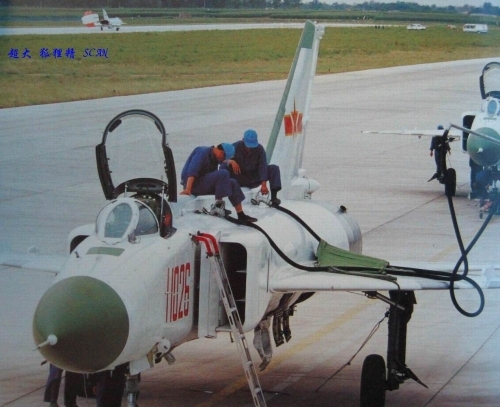 The 3rd Air Regiment were replaced by old basic J-8 Finback with Shenyang J-8B Finback-B. Only used for a short period of time. 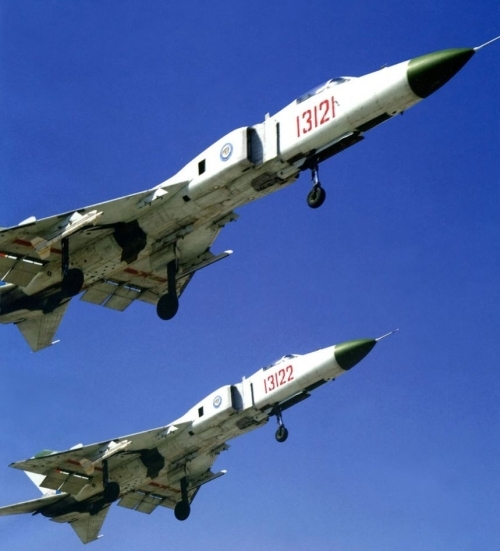 In 2003 the 3rd Air Regiment changed J-8B for J-8F. 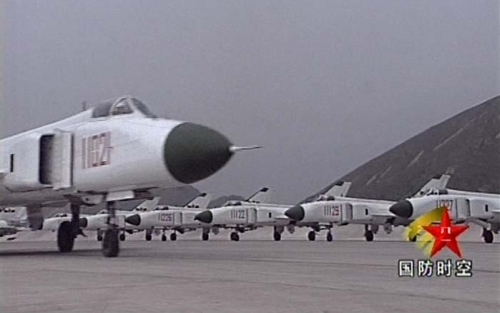 The J-8Bs went to the 12th Division.